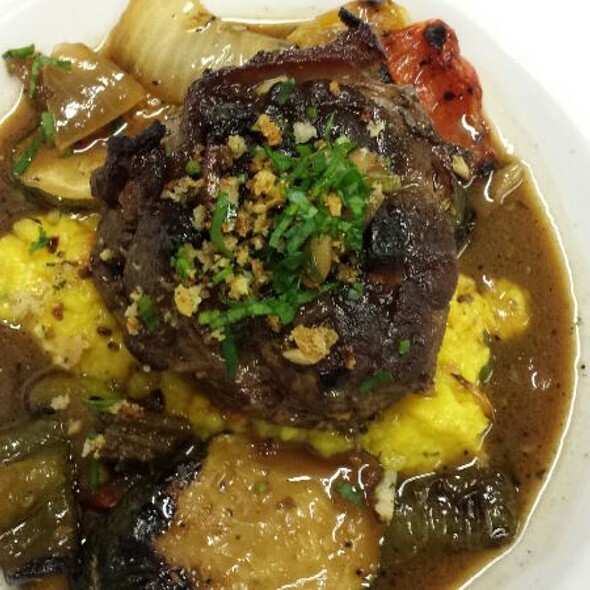 You must make reservations at least 5 minutes in advance of the time at Il Piatto. We are located in the heart of Downtown Santa Fe, one block north of the Santa Fe Plaza so there is plenty of on street parking and is within walking distance from most Downtown Hotels. Downtown Hotels also offer shuttles to and from the restaurant. il Piatto, Italian Farmhouse Kitchen is available for off premise catering. Please contact Jamie Taylor, General Manager at 1-505-984-1091 for information. 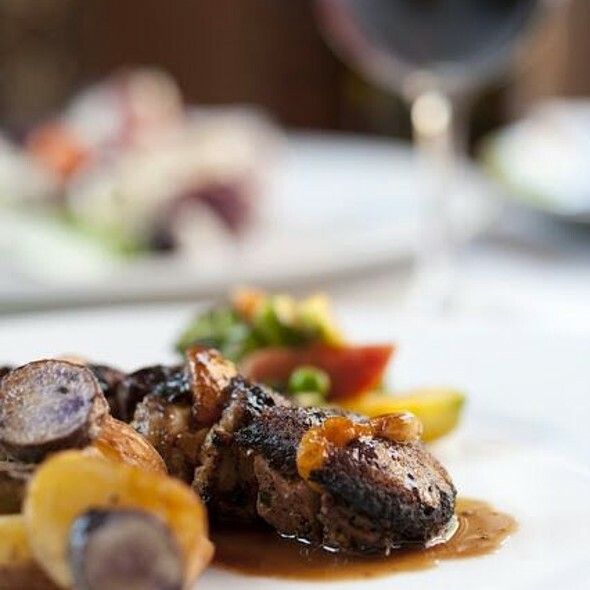 Located one block north of the historic Santa Fe Plaza, in the heart of the chic Destination Marcy Street district, Il Piatto has been a local favorite since 1996. Boasting an authentic Italian farmhouse décor complete with a custom wine cave, wine bar, private banquet facility and sidewalk patio. A leader and proud participant of Farm to Table, Il Piatto sources its ingredients directly from local farms, dairies and ranches. 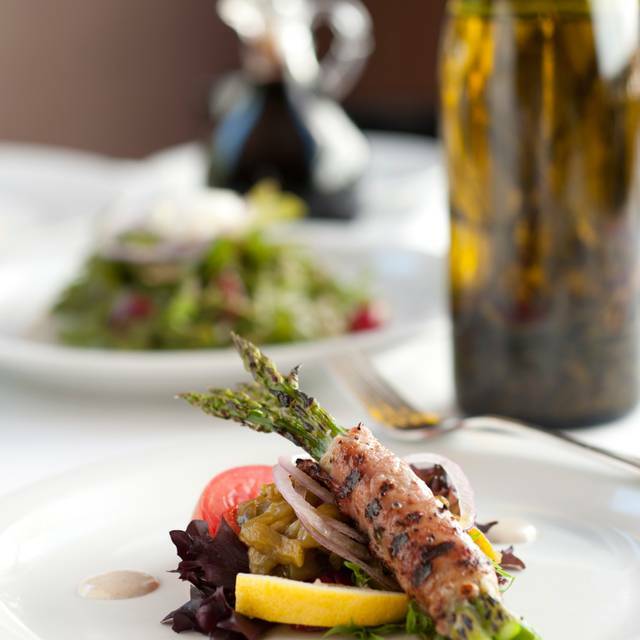 Il Piatto offers daily Happy Hour featuring half price appetizers and glasses of wine. Portions were small. Ordered pasta and had to fill up with bread. We will give it another try. It was good, service was good but maybe we were just in and out too quickly. They have a great happy hour so will do that next time. I would still recommend it though. Great atmosphere. Sean provides excellent service and good conversation! Food was absolutely delicious. Would order same food again if I didn’t want to try other items on their menu. The service is always wonderful, and the food is very good. We didn't have the best experience. We asked for bread when we placed our order. 20 minutes later we asked again. Then 10 minutes later our food arrived, but still no bread. Then later while eating our entrees, the bread arrived. But they never brought the roasted vegetables that we ordered. Food was rather expensive for the quantity. Expect to pay around $120 per couple including wine and dessert. There are better restaurants in Santa Fe. Everything was impeccable, if they do this consistently ( I only went once ) it would be amazing! Kudos to the hostess who kindly accommodated our reservation with an extra guest. The bartender, Xena, was great! A+ for the beef carpaccio appetizer. Unfortunately, from there, things went down a bit. Our waitress was scrambling to keep up. My entree was very slow arriving, and only moderately warm. Wine refill was delayed. Bummer when u are looking forward to complimenting the food with the wine and the appetizer is gone before wine arrives. Overall, a disappointing end to the evening. Unreasonably priced, $15 for 3 normal sized mushrooms. The taste was almost like any other knock off Italian place. By far the worst dinning experience we’ve had while staying in Santa Fe. I got an “appetizer” sized pasta dish- it sure was an appetizer dish containing only six (6) pasta noodles in comparison to the, what seemed like, billions of tomatoes. The pasta itself was great, but the serving sizes where extremely small especially considering this is an Italian restaurant. We also ordered a chicken dish- the chicken was over cooked in parts- and the Italian desert custard. The custard itself was delicious but it was topped with some gnarly Marsala balsamic and had strawberry syrup- the kind used for an ice cream Sunday- which was just nasty. The staff was nice, although they seemed to be stretched a little thin. The atmosphere was cliche Italian as seen in literally any other Italian place. Overall, it’s worth missing this dinning option as it will only leave you hungry and disappointed in the end. Char, papardelle putanesca delicious!!!! Service great. Wednesday is half price wine night!!!! We are never disappointed with lunches or dinners. It was our 41st wedding anniversary. Some dishes were good, a couple disappointing. The "cellared" squash salad was excellent. What was billed as duck confit rillettes, however, seemed to have been made with sweet mayonnaise, rather than duck fat. We loved the entire experience at Il Piatto. It was a dear friend's birthday--we all greatlly enjoyed our food, the ambiance and service. We will definitely go again! 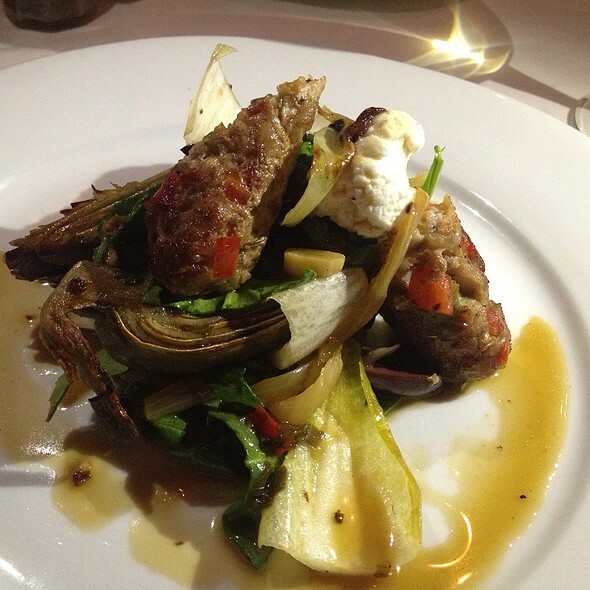 We always enjoy a night out at ll Piatto. The wine selection is great and the food execllent as is the waitstaff. Nice specials with seasonal items. Great service by a team of people. Excellent food and service. Went for restaurant week and was not disappointed. We will be back. It was restaurant week so the place was packed and the service a bit slow, which is understandable. The selection was excellent and the food good. Il Piato is our favorite restaurant in Santa Fe. The food is always excellent and the wine selections are better than many restaurants in the area. All was OK but could have been better. Its a standard of excellence we patronize in SF. The food, service, and place make it special. Apparently, there was some drama in the kitchen the night we were there, or else they were just overwhelmed by the number of diners since it was Restaurant Week. We were served our appetizers very promptly, but had to wait quite a while for the entrees. The food was delicious, as always, although the bread pudding was more custard-y than the consistency of bread pudding. Andrew was a good waiter. All in all, a very nice experience. Excellent, the fact that all items on the menu were 35.00 for Restaurant week was outstanding, other Restaurants only offered 2 or three selections. Great value!!! My mom and I love this place. If you are coming in for Restaurant Week, make sure you make your reservations as quickly as the menus come out (in January). There is a reason this place books up quick. The food is delicious with generous portions. Very lovely! Great food, service and ambiance! The meal was lovley and our server was great. The only issue was the wine,which was gone. The waiter took care of it ,but the manager said there was nothing off with it-that said it was on special. Over all ,a lovely evening.Glad we went! My partner had the chicken mushroom soup; there was a large, ugly piece of limp skin in the unexceptional broth. Her parmigiana sandwich contained a dry and much over-fried (possibly left-over) chicken patty. Menu said it came with roasted peppers and onions. Came with no onions and chopped tomatoes instead of promised peppers, which she can't eat - sandwich was sent back - same over-fried patty and no onions, a few peppers, returned. My Branzino was good, as was my appetizer of scallops Rockefeller. My desert of "bread pudding" was sitting in an unappetizing mess of what looked like scrambled eggs; partner's panecotta was marginally ok. Service was excellent. I am surprised that restaurants strutting their stuff for Restaurant Week would serve such underwhelming dreck. Don't they want people to come back? We were expecting a lovely lunch in a restaurant we had not gone to before - it was a belated Valentine's gift to my partner, and we were both disappointed. This lunch cost me $65.00 including a generous tip. It wasn't worth half that. Not only was the meal a great bargain, but it was the best meal that we had so far during restaurant week. A couple more days of restaurants to go....and Il Piatto once again satisfied our palates. Outstanding service and such amazing food! 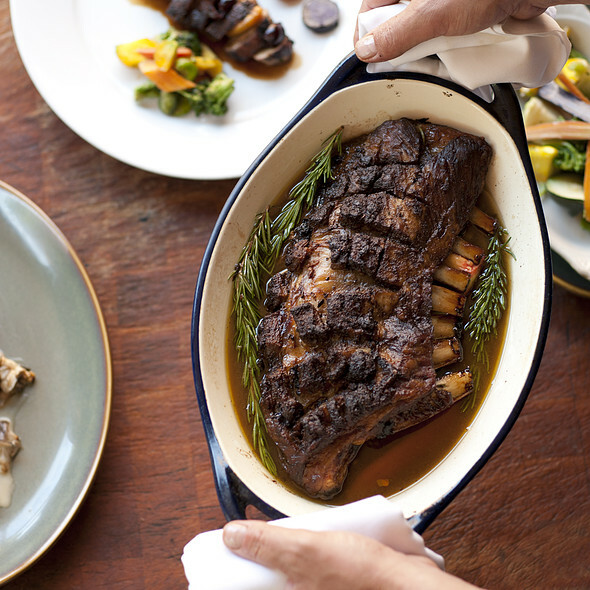 A really spectacular wine list and sauce that will change your expectation of Italian food! 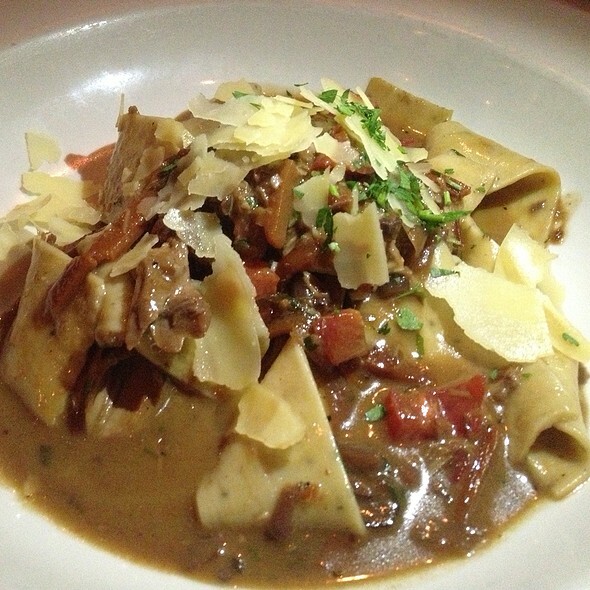 We love Italian food and Il Piatto has always been a favorite. It has grown it the past years from one room packed with tables to two rooms. We were seated in the new room with faux exposed brick and other cheesy touches. 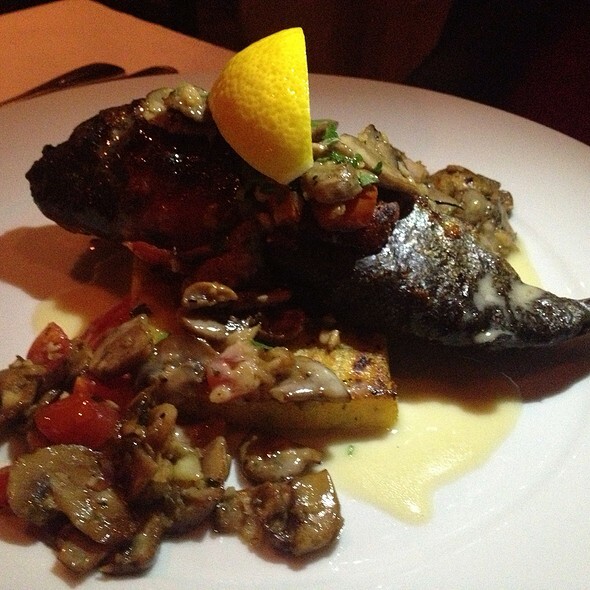 We enjoyed most of our menu selections: Branzino, papperdelle, the seasonal salad, and the day's specials. The service was lousy. The server must have been disappointed that we weren't padding the check with wine and cocktails, because after we told him we were sticking with sparking water, he lost interest. The restaurant week special kept the price under $100 for 3 courses, Pellegrino, and coffees. I still tipped generously since it would have cost more under normal circumstances. 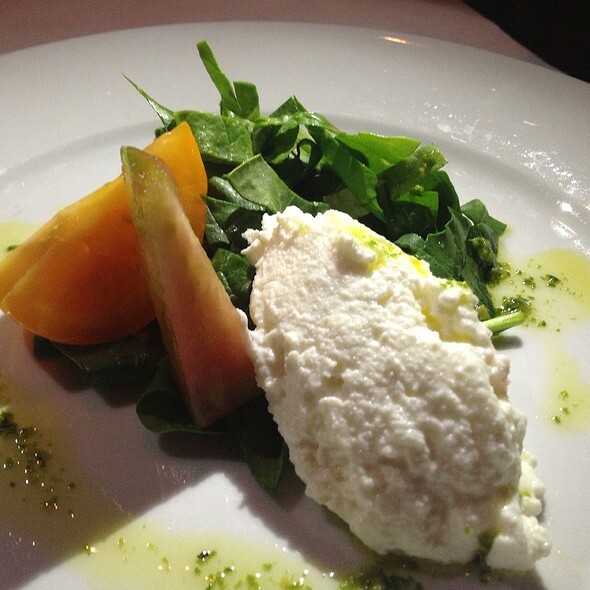 I have always enjoyed Il Piatto....the ambience is great and the service is wonderful. We went for Santa Fe Restaurant Week and the special menu was excellent! The freshness of the food with their use of the local farmers market and growers makes it special. The pours seem small for the amount of money you pay for glass compared to other restaurants unless you are early enough for happy hour. Only complaint I have. The Happy Hour food offerings are wonderful. Restaurant week menu was great with enough choices and fair price. Wine menu prices way out of control. Service and ambiance was excellent.